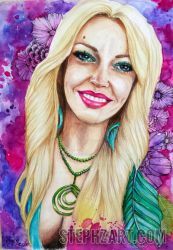 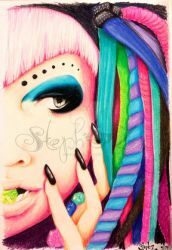 Stephanie is a California girl who has been living and designing on the Gold Coast for 10 years. 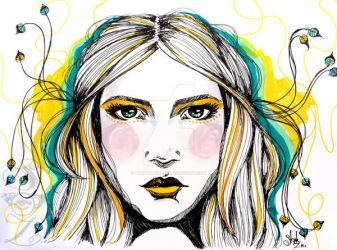 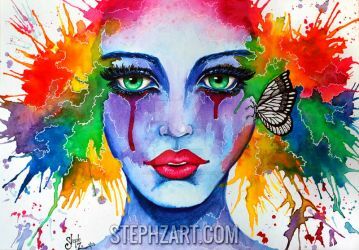 Graphic designer by day, art deviant by night, Stephanie loves to draw anything but finds that her interest lies mostly in the female form and portraiture. 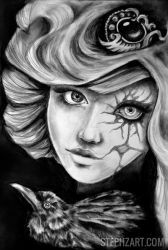 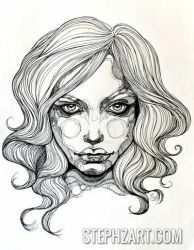 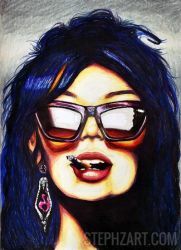 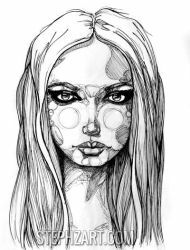 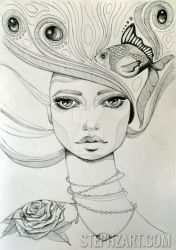 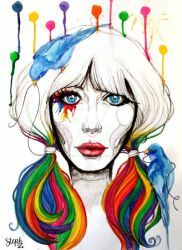 She is constantly drawing, painting, designing tattoos and working digitally. 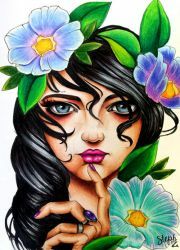 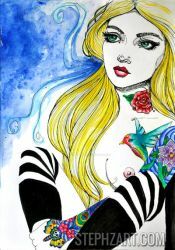 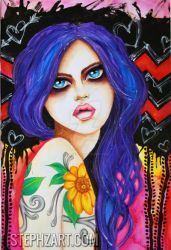 Her love of bright bold colours and tattoos shows up time and again in her unique style and artwork. 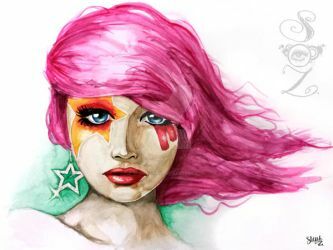 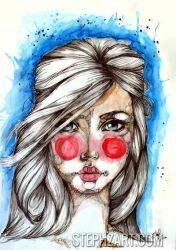 Paint and pencil are her medium of choice, but she has recently dabbled in water colour and loves it.